A modestly sized oval coffee table is hard to find, or so we've heard. 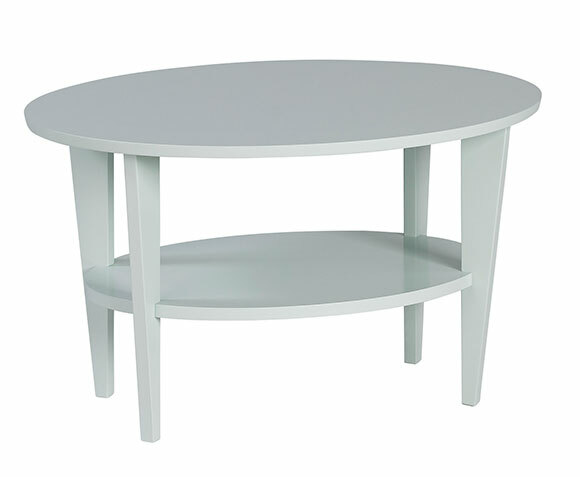 Enter Furniturea's Twofold Oval, set on tapered maple legs with storage above and below. Not too big, not too small, it just may be the design you've been looking for. Shown in Speckled Egg.